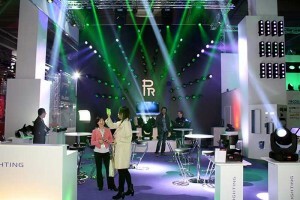 PR Lighting has reported an excellent response to the suite of new products, premiered on the stand of their German distributor, Focon Showtechnic at this year’s Prolight+Sound Show in Frankfurt. According to international sales director, Ernie Armas, feedback to all three new products couldn't have been more positive. 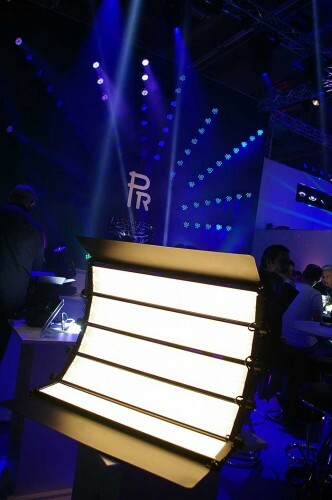 Pascal Vieregge at Focon confirmed that the PR Lighting booth had been one of the real eye-catchers — an inviting area with friendly faces and 72 XLED 336’s, designed as sunstripes, dominating the backwall. The Chinese manufacturer used PL+S to launch to showcase its new line of LED Studio products (represented by the LED Studio 3300). Aimed at TV studios and special photographic applications, the criteria set for this was soft and uniform light output, high light efficiency, stable colour temperature and high colour rendering index (with optional 3200K and 5600K colour temperature). Alongside, was the XLED 250, housing 50W LED which outperforms a standard 250W discharge fixture. Finally PR Lighting showed the XR800. This uses the latest MSR Platinum 35 lamp to deliver an extremely bright light, with a wide zoom range from 7.5°-50°, making it perfectly suited for TV, theatre, corporate events and other demanding applications. Pascal Vieregge agreed, stating that the new XLED250 micro spot, looks to have a huge future in the European market, due to its high quality, along with the XR-200, which he believes is still one of the most effective 5R fixtures. “The presentation of the brand new XR-800 Spot, powered by a 35R lamp, was another important part of the show and attracted many interested customers,” he said. “The Studio lighting range with SoftLED´s and LED Spots was the other eye-catcher. Summing up, he said: “PLS 2013 proved to us that PR Lighting is heading in the right direction, and their presentation at this show will have done much to consolidate their position as a high quality brand on the international market."